Discussion in 'WildStar Fan Creations' started by Anorissa, Jul 24, 2015. The thought of playing Wildstar again inspired me to create some new art! I recently downloaded this progam called Design Doll and its making it so much easier to make poses. 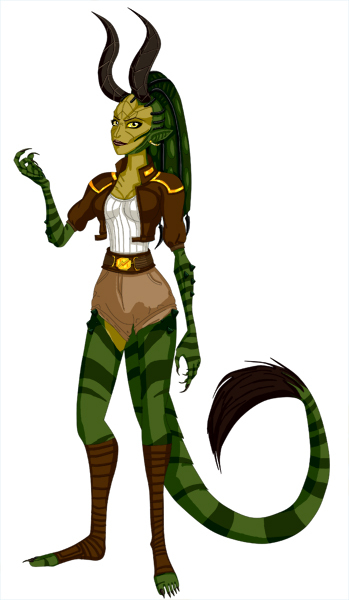 Takasha is my main in Wildstar. She is a Draken Stalker. I made her a while ago when I had a free 10 days or something like that. I can't remember if this is exactly what she was wearing when I quit playing, but it looked like something she would wear. She was made at the same time of Takasha, which happened to be a few months after my cat, a torotiseshell named Kali, passed away (she was just old). So I made Kali in memory of her. 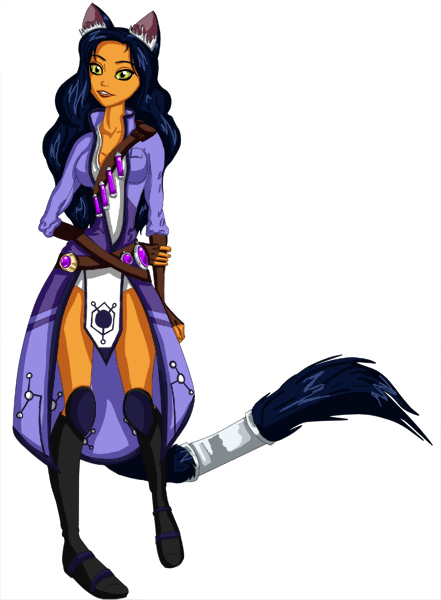 And here is my Aurin, Kali Raventail.